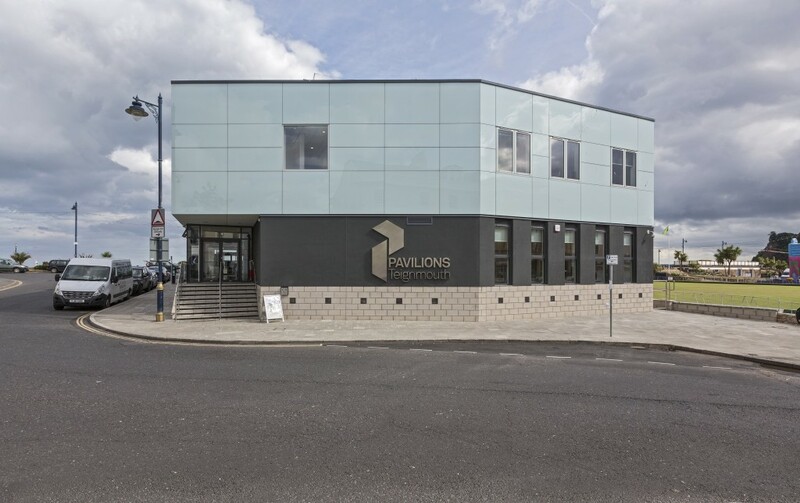 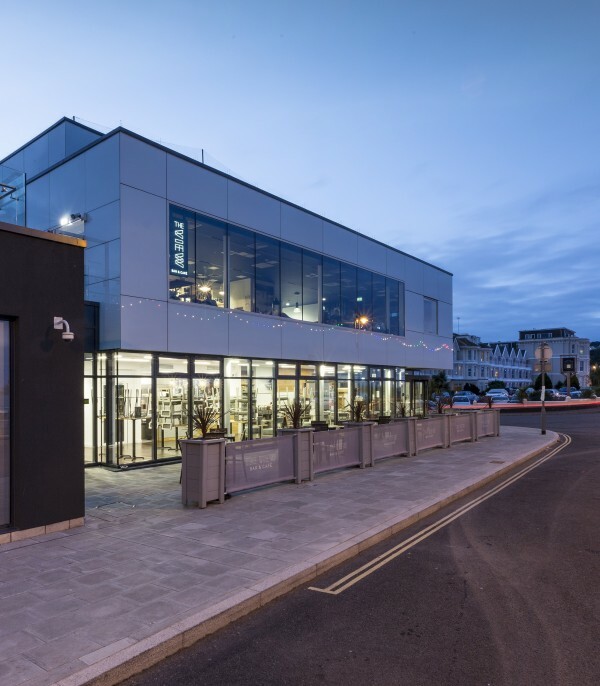 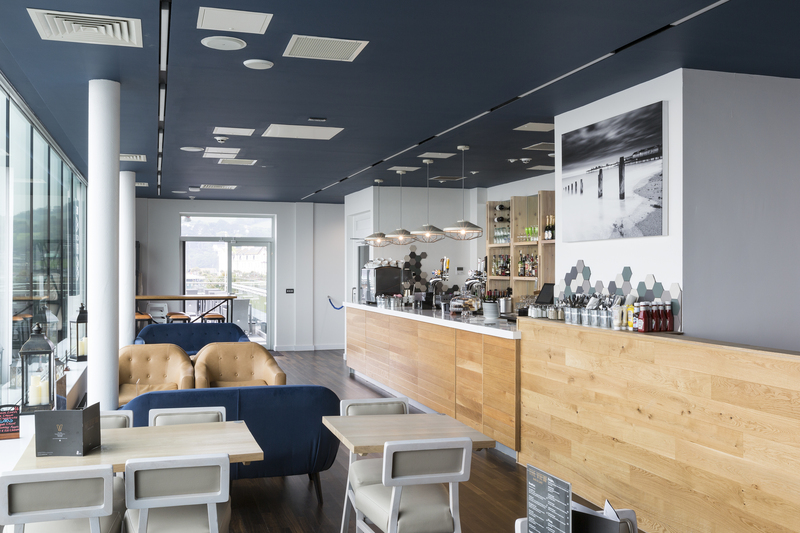 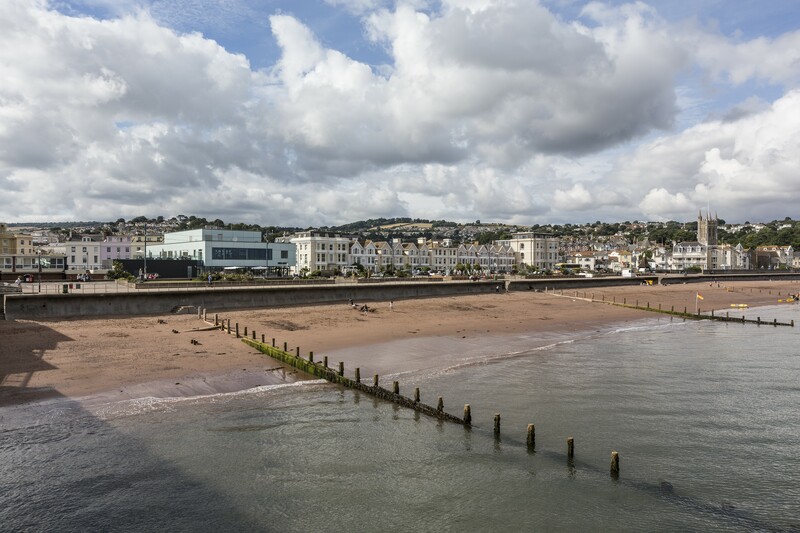 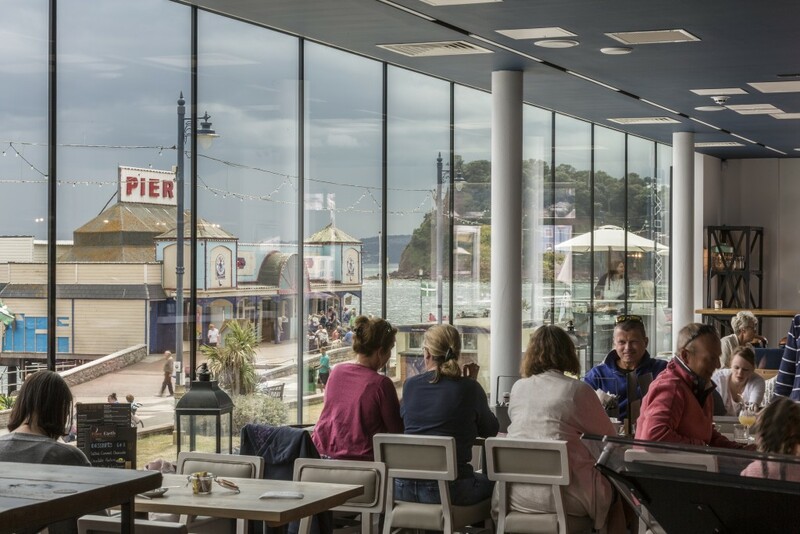 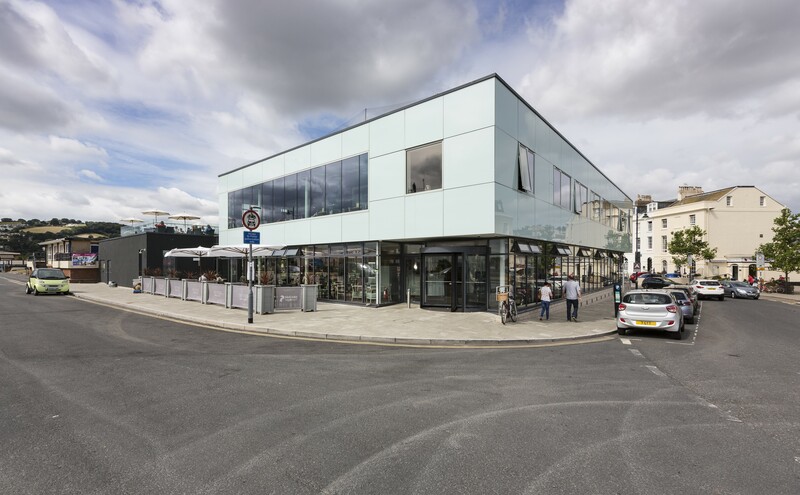 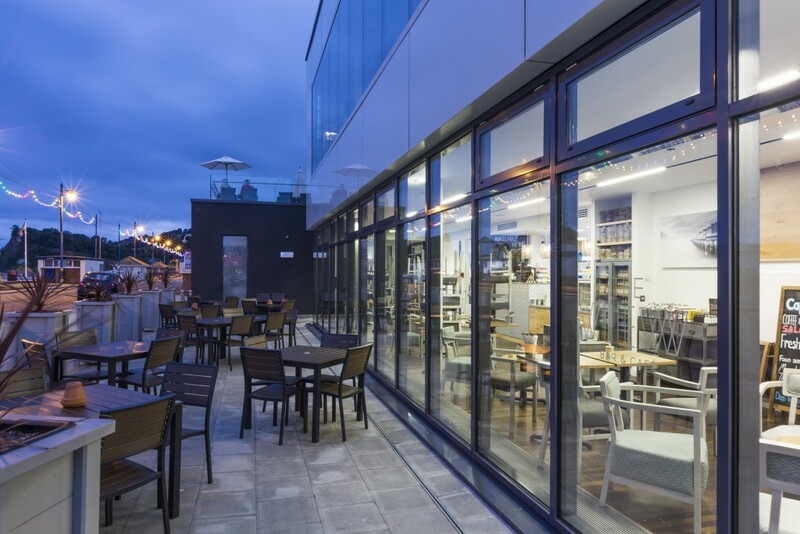 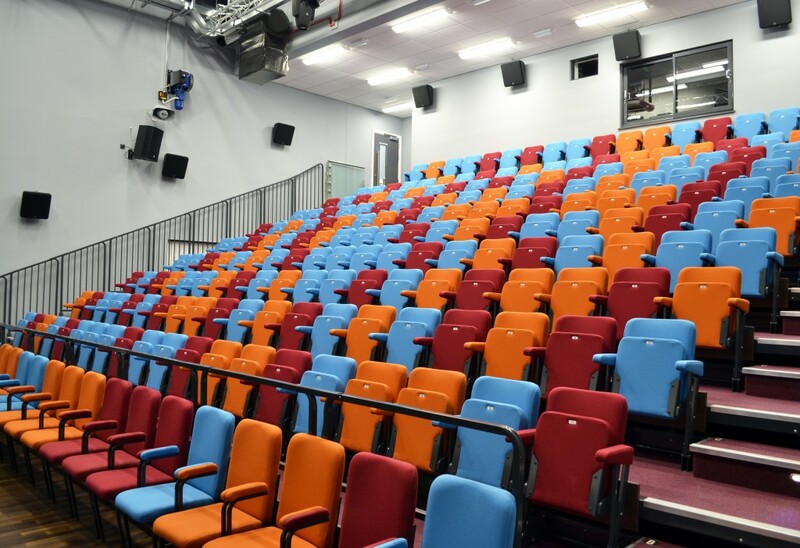 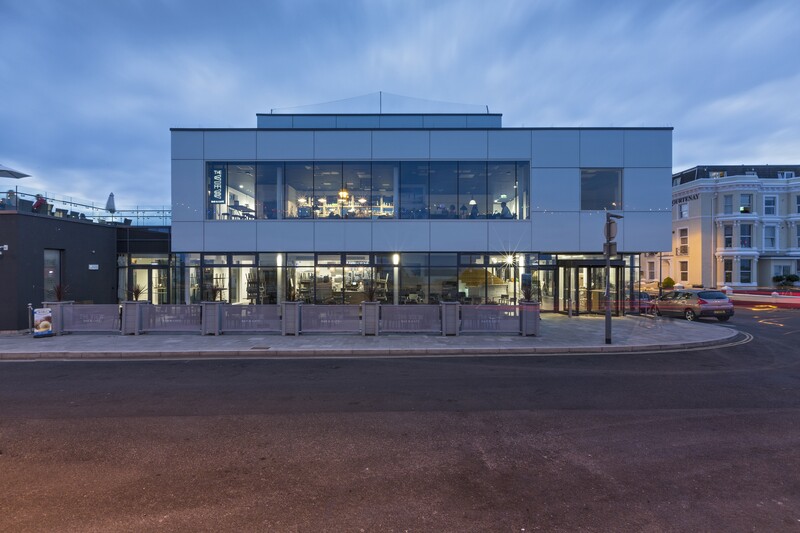 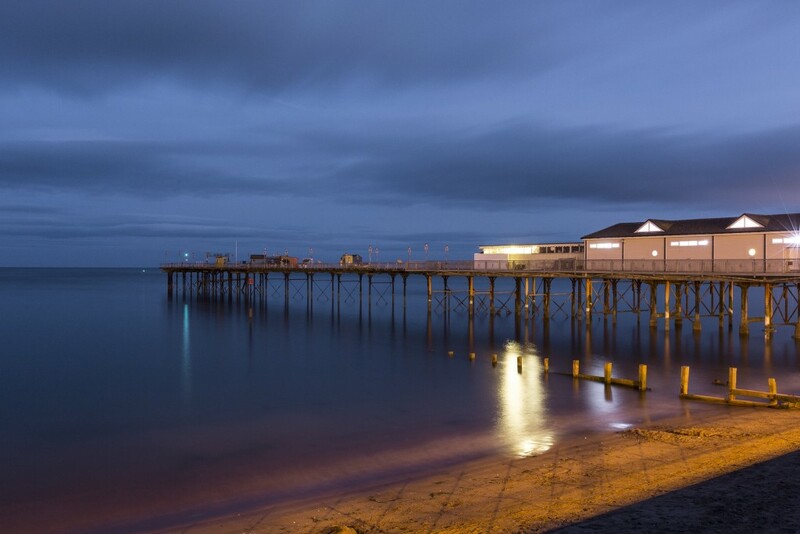 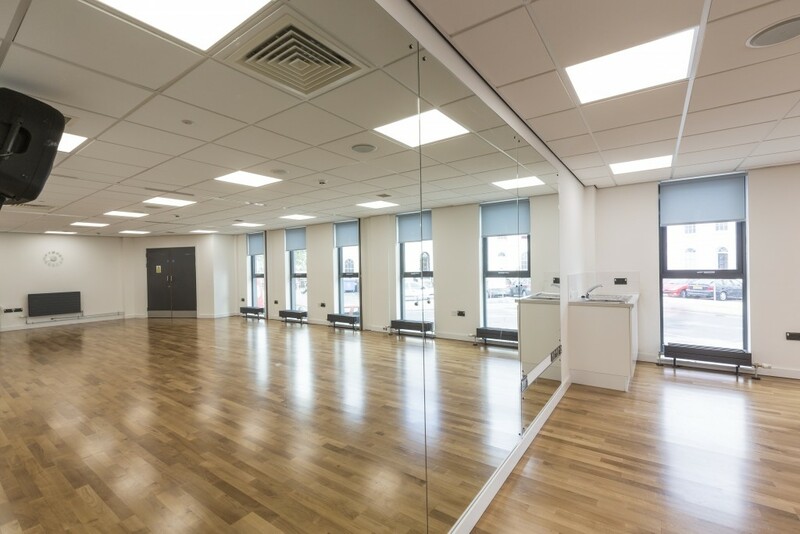 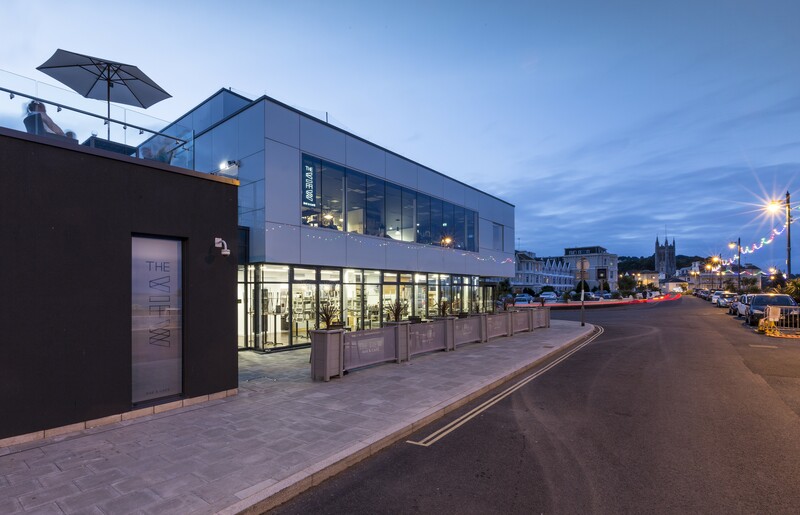 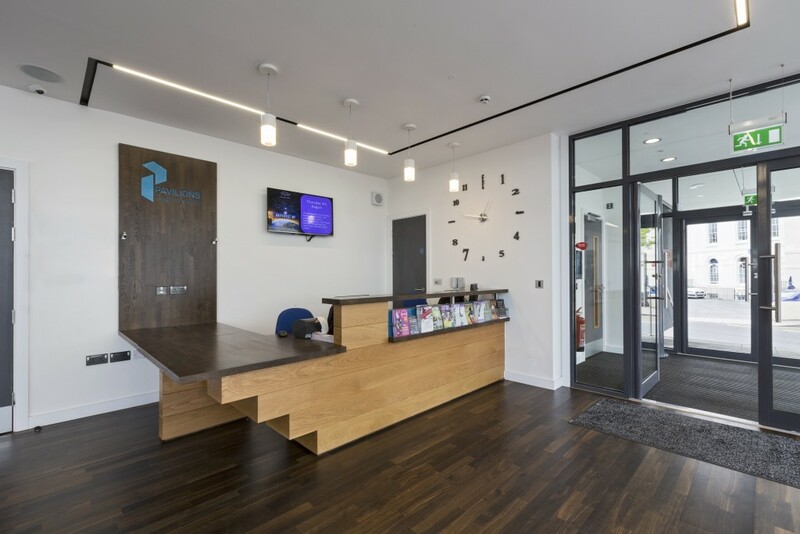 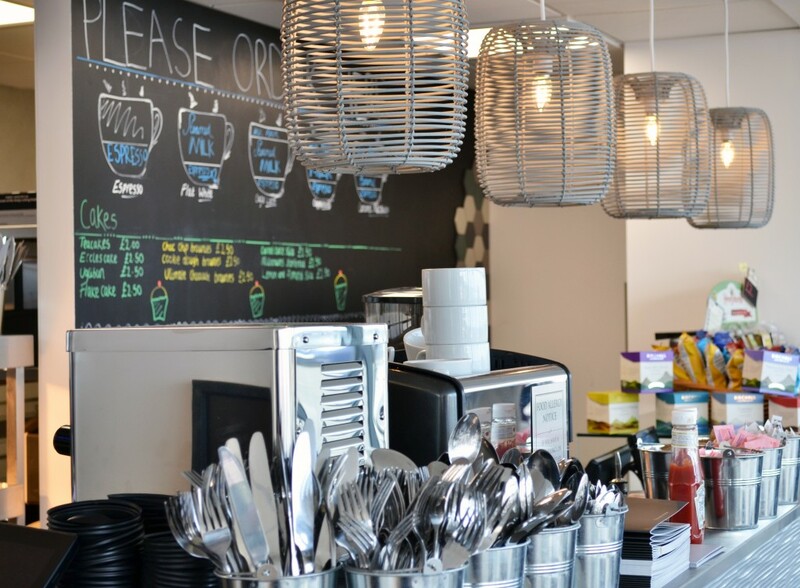 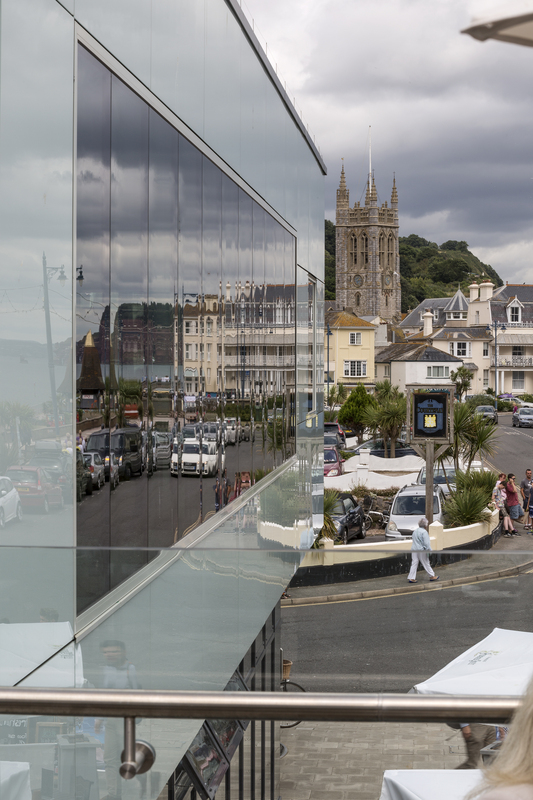 The Pavilions is a new, landmark building for Teignmouth seafront which houses a 210-seat theatre, restaurant and gallery, offices and changing/ancillary facilities, and provided a multi-functional community centre that offers fantastic views of the surrounding town and the coast. 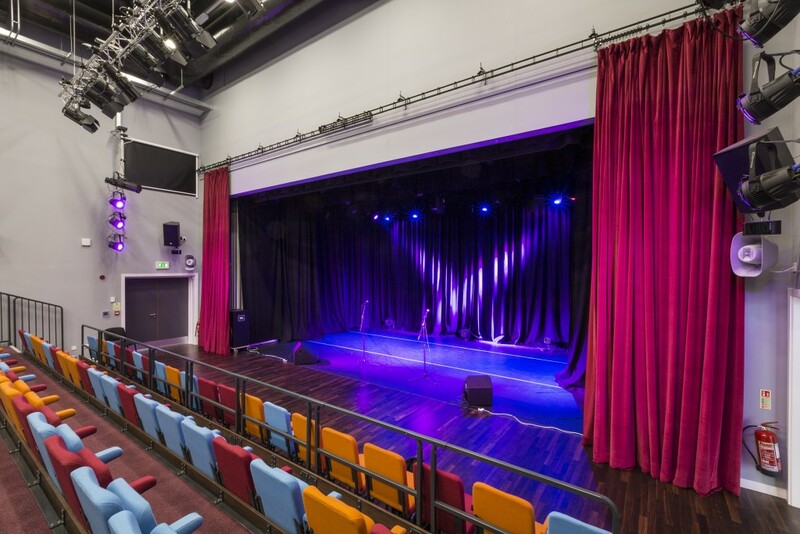 It replaces the original Carlton Theatre which dated from 1967. 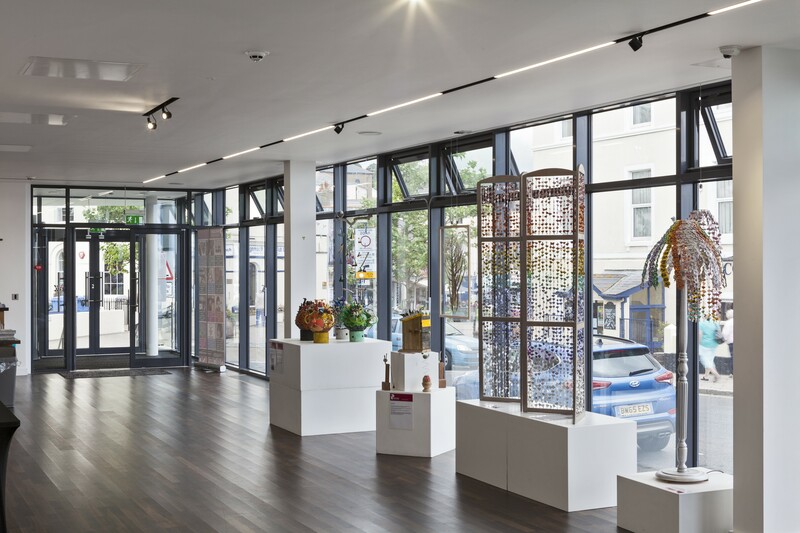 Open in time for the 2016 season, the Pavilions is of a contemporary, elegant, glazed design reminiscent of the highly glazed Victorian bowling pavilion which originally stood on the site. Set to become the ‘jewel’ in Teignmouth’s historic seafront, it complements rather than competes with the architecture of the existing Regency crescent. 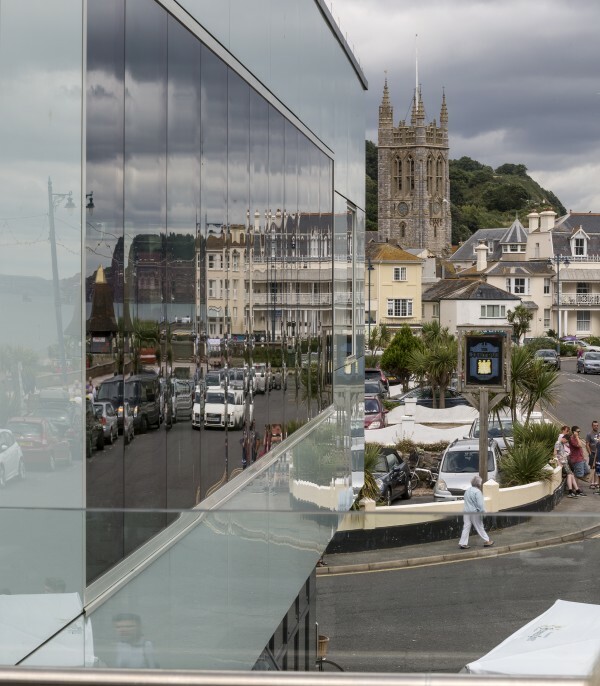 Construction of the new building has also given the opportunity to enhance the public realm around the theatre, acting as a catalyst to improve the general quality of the seafront promenade.